He had stopped eating and was back to hiding in the bathroom closet sleeping all day. He was in a lot of pain. I have taken his death particularly hard. Or maybe it’s the grieving the loss of four companions within the past 16 months. I feel incredibly guilty, and keep asking myself if there was more I could have done for them. What did I do wrong? It feels so empty here. This morning as I left for work, I watched a squirrel scamper across the road and I thought how this time last year Rumpy would have been trying to chase after. Yesterday Hissy was sitting Kitty Loaf style by the door, and for a moment I thought he was June Buggie. And each time I look inside the bathroom closet, I expect to see Bubba napping there. But they are gone. Now there are new routines to establish. Little Girl is my constant companion. If I am home, she is nearby. I’ve been giving lots of attention to Yella and Graybie. They are happy to oblige me. And Hissy Fit Jones? He has his moments when he wants me to hold him, and I do. He nuzzles my neck and purrs contentedly. As for me, I am tired. Life has been particularly tough for me these past few years, and there seems no end in sight. But I only have to maintain the struggle for this day. Tomorrow will have to take care of itself. Rest in peace, my sweet boy. I’m really glad that you have such sweet being near to comfort you. It’s been a rough go lately. I’m glad that you have companions there to comfort you. It has been a rough two years, but that doesn’t mean that it was your fault. It can’t be changed, so I hope that you can focus on what is before you. Hang in there. Jen, I am so sorry about all you have gone through in the recent months. From everything I have read from you and others you took and take such good care of all of your furbies. You care about them and love them. 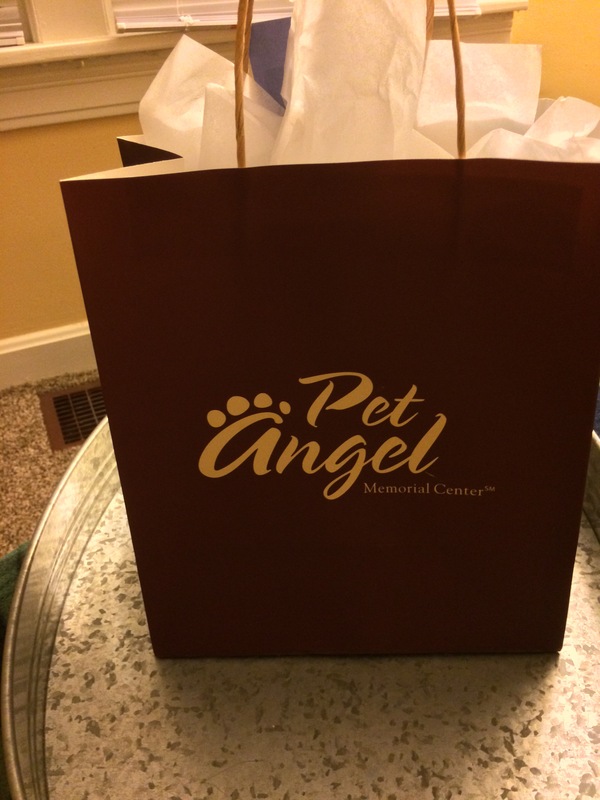 I think after we lose a pet, a family member, we all wonder if we could have done more. I would suggest that you don’t go down that road. Rumpy and the cats had an excellent life with you. all, besides they had been having lovely lives with you. They needed you in their lives. If you felt guilty, they would feel sad in heaven. Please don’t Jen. We all feel sad about Malachi, Rumpy, June Buggie and Bubba. Please please take care of yourself and of Hissy, Yella Fella, Little Girl and Graybie Baby. Love, Angel Kevin, kitties and mom. Love, tender hugs, soft purring…we think of you and the kitties and send these every day. Oh dear, you have really had a hard time with these shocks coming on the heels of each other. Remember… love yourself, look after yourself, you’ve done everything you possibly could. So very sorry! It is not your fault and I bet you did all you could. Jen, for this I certainly have an inkling of what you are experiencing; in 2012, I lost 4 in 6 months, and a couple within the next 15 months after that, and a couple last year. It doesn’t make the losses any easier, but I know from reading your blog for a few years, each of those kiddos KNEW they were loved. Keeping you in thought and prayers during this transition and shift. It is hard, isn’t it? Thank you. I take comfort in knowing a) they’re happy and whole, and b) their spirit remains near me. Be kind to yourself and know you were loved. You are such a wonderful huMom giving all of your furbabies love they could not have had without you. Having more furbabies to take care of and love on is what keeps some of us getting up every morning. *hugs* from all the creatures in this house — furry and not furry. losing a dear pet is so heartbreaking.. i could totally relate right now because i said goodbye to my feathered pet Lemon.. I still have some trouble establishing new routines since Lemon’s passing because i am used to hearing her noisy chirps and doing everyday chores feeding her. my terrace is now suddenly silent..
You have been through so much lately. Sending you lots of comforting purrs, headbutts and hugs. I feel for you, Jen. Reading this makes my heartache. Too many losses in too short a time. Sending you my thoughts that things turn around for you. And soon. I am so sorry, Jen. They did have your loving care, that may be a comforting thought for you. I am missing so many kitties myself, one recent, so I know how hard it is. Hugs. Jen, I wish I had the words to help ease your pain. i am so deeply, deeply sorry. Wish I could give you a hug. If you want to friend me on FB , please do. Sending love. It’s so hard sometimes. You were there when they needed you. And they will always be with you. “There’s more room in a broken heart….” Give yourself time. sending virtual hugs. 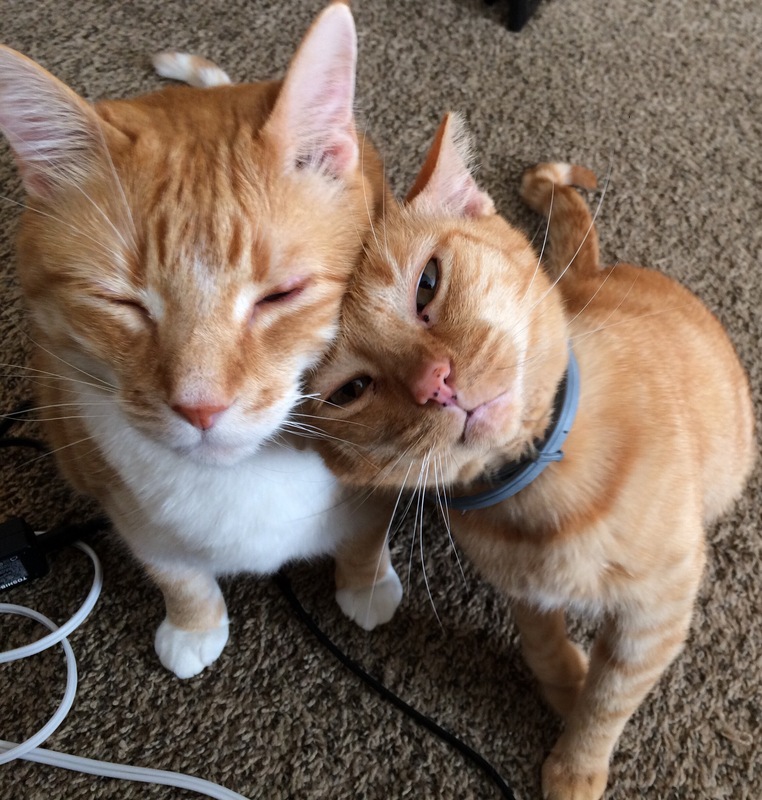 what a sweet sweet picture of the twosome leaning upon one another…I feel for you and for your cat family….wish I could cheer your spirits…I know just how you feel. I’m so sorry. Hugs for you. I had to put my yellow lab to sleep for several reasons and she was really not that old. I think of her every day. It’s been 32 years now. Oh Jen I know how difficult this is…..I feel everyone has said what I wanted to say. You have taken such GREAT care of Bubba, Malachi, June Buggie & dear Rumpy!!! Yes they are gone physically from this earth but they live on in your heart & mind & in all your followers/friends hearts & minds. And our darlings leave their pawprints on our hearts! I still think of my 1st cat: Simpson. I was 12 1/2 when we adopted this scrawny Abbysinnian Persian mix. I was so allergic to her but I refused to give her up. She lived to be 20. You neer forget your 1st (or any of them). Let the memories comfort you & let your remaining furbabies love you all they want as you move on. I have had a rough couple of years with a lot of death. 6 human deaths 2 I had to take off life support. For me doing that was so very hard and it really affected me and still have a had time dealing with it. 1 suicide. 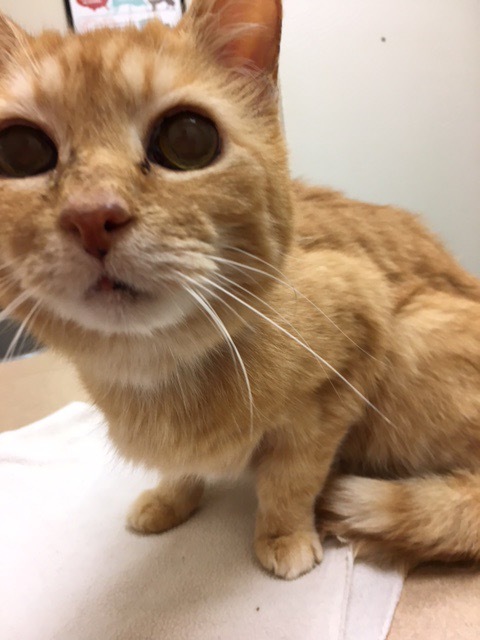 My cat Mary Jane who recently just passed and sounds like her and Bubba had the same symptoms. Mary was 15 years old. My emotions are very raw right now. I had to refrain from doing a lot of my posting about animals because I get to sad to easy. Those emotions really need a break. My concentration is really bad. On the up side I get up everyday and take a look at the positive and concentrate on that. I saved a relatives dogs that had passed and the whole transition went smoother that I thought it was going to. To me that was a big deal to make this work. I have a wonderful son who supports me in my caring for the animals. I have a roof over my head and even though I am not well off we all are comfortable, safe and I manage to provide everything we need. I really miss all my family members that passed and after living with Mary Jane for 15 years it has not been easy. I look more at how so very lucky I am to have had her in my life. I am sorry. Life is hard, and it doesn’t get any easier it seems. Jen, only just read this. I am so very sorry to hear of your loss. I’m not sure how I can message you. Please know that our love and prayers are with you. It truly is a tough time. We’re so sorry, Jen. I meant to stop by sooner, but then we lost of sweet housepanther, Zoe. I wish there were something I could say or do that would help ease your pain and grief, but know there is not. Please just know we are thinking of you, and sending all good thoughts your way. Thank you for loving Bubba so much, and so well. I am so sorry about Zoe. Thank you for thinking of me during your own time of grief. I’m so sorry!! I’m sorry I didn’t notice before. I wish everyday gets easy and that the grief left you with the reassurance that you have the best life to them. And allow us to be part of it and know them a bit. You must not believe the voice telling you that you could have done more because you did SO much more than most EVER would. Bubba was lucky to have met you. Fact.